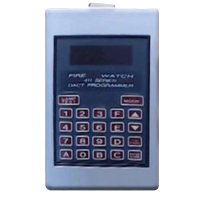 The Fire-Watch 411 Series from Fire-Lite are compact, multifaceted, slave Digital Alarm Communicator Transmitters (DACTs) designed for a variety of fire, and non-fire applications. 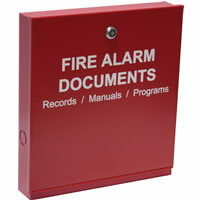 The series consists of two models: the 411 and 411UD, providing three and four monitoring channels (inputs) respectively. These slave DACTs are a cost-effective solution for applications that require an existing (or new) Fire Alarm Control Panel to transmit system status to an off-site monitoring facility for Central or Remote Station compliance. Due to extremely flexible programming options, the 411 Series slave DACTs are also ideal for monitoring non-fire control panels. With fifteen selectable transmission formats, including ADEMCO Contact ID, compatibility with virtually all Digital Alarm Communicator Receivers (DACR) is ensured. Programming can be accomplished on-site with a hand-held programmer (PRO-411), or remotely (411UD only) utilizing an optional PK-411UD Windows®-based remote upload/download software package. The PK-411UD upload/download software also permits system integration and revision from a remote site.